How much does it cost to travel to Mumbai? How much money will you need in Mumbai? ₨4,421 ($64) is the average daily price for traveling in Mumbai. The average price of food for one day is ₨1,719 ($25). The average price of a hotel for a couple is ₨4,120 ($59). Additional pricing is in the table below. These average travel prices have been collected from other travelers to help you plan your own travel budget. Mumbai is the largest city in India and the capital of Maharashtra state. It is still occasionally referred to as Bombay, but most people know it now as Mumbai. It's the commercial capital of the country and is a major port city. It's also famous for Bollywood, which is the movie capital of the country and famous for it's music filled Bollywood flicks that have become popular around the world. Mumbai is arguably the most cosmopolitan city in India and has some of the most liberal views of an otherwise conservative country. Many immigrants and expats live in Mumbai and it's easy to see the blend of cultures. The region has three major seasons: summer, monsoon, and winter. Summer is incredibly hot, with winter being the mildest season and monsoon the wettest. Winter runs between November and February and is the most ideal time to visit Mumbai. The humidity, which is high year around, is typically at its lowest during the winter months. Summer is between March and May and it can remain quite hot throughout the season. The monsoon season is between June and September and the city is often flooded with rains. It is best not to visit during the monsoon season, not only because of the rains, but also because transportation can become dramatically more difficult. Mumbai has countless sights that are worth visiting. The city has some of the country's best museums and art galleries. The Kala Ghoda area has a particularly high concentration of them. There are also a few beaches in Mumbai. In general, they aren't the best as they can be quite dirty, but the ones in the northwest are better and they can be fun to see on a Sunday evening when there are food and game stalls set up. There are also many religious sights worth visiting in Mumbai. Temples, mosques, churches, and synagogues are all spread throughout the city. Haji Ali Dargah is one of the most visited places in the city. Also of interest is the Global Vipassana Pagoda in the northwest suburbs. This is a meditation center that seats 8000 people. Other temples in town include Siddhivinayak temple and the two Hare Krishna temples near the Juhu beaches and Chowpatty beaches. Mumbai is a large city with many districts and neighborhoods. 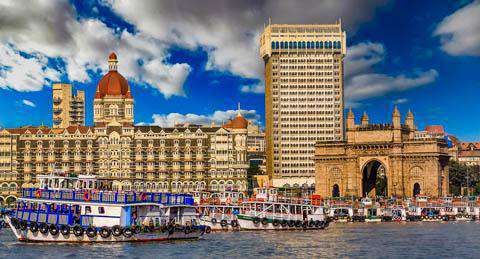 South Mumbai includes the oldest areas of the city such as Fort, Colaba, Malabar Hill, Nariman Point, Marine Line, and Tardeo. South Central Mumbai has Byculla, Parel, Worli, Prabhadevi, and Dadar. North Central Mumbai has the areas of Dharavi, Matunga, Vadala, Sion, and Mahim. West Mumbai has Bandra, Khar, Santa Cruz, Juhu, Vile Parle, Andheri, and Versova. East Mumbai has Kurla Vidyavihar, Ghatkopar, Vikhroli, Kanjur Marg, Bhandup, Mulund, Powai, Thane, and Kalyan. The Harbour Suburbs are Chembur, Mankhurd, Govandi, and Trombay. North Mumbai has the areas of Manori, Jogeshwari, Malad, Borivali, Gorai, Mira Road, Bhyander, Naigaon, Vasai, Nala Sopara, and Virar. There is a large cultural scene in Mumbai. You should definitely check out a Bollywood movie while you're in town. It's also fun to go to a cricket game or visit one of the city's beaches. There are three cricket stadiums in town: Brabourne Statium, Wankhede Stadium, and D.Y.Patil Stadium. There are also several places where you can see a cricket match for free such as Ruia College, Shivaji Park, Azad Maidan, and Marine Lines. Popular festivals in Mumbai include the Mumbai Festival, Banganga Festival, Elephanta Festival, and the Mumbai Wine Fest. Diwali is the famous festival of lights that is held in October or November. The high end restaurants in Mumbai are much like those you'd find anywhere else in the world. There are international cuisines from everywhere and the food is generally good. If you're looking for a more authentic Indian experience consider a more budget option, or visit some of the countless street stands which serve up good and cheap Indian food options. Some of the more interesting dishes in Mumbai include Gujrati, Maharashtrian and Kerala Thali, Goan seafood, Vada pav, which is a vegetarian burger, Bread Maska, and of course, Kingfisher Blue beer. It's also fun to try an authentic Marathi restaurant. Mumbai has a large ethnic Marathi population and the restaurants can be interesting and fun. Public transit, taxis, and rickshaws are the best way to navigate Mumbai. Taking a rickshaw in Mumbai for the first time can be a heart stopping adventure. Public transit options include the bus, the Mumbai Metro, a suburban rail system, and ferry. Buses travel all over the city and its suburbs. They can be crowded and you likely won't find a seat. Many of the bus stops have lines as well. The metro system opened in 2014 and has trains every 4 minutes during peak hours and every 8 minutes during off peak hours. The suburban rail system has three lines: the Western Line, the Central Main LIne, and the Harbour Line. There's a tourist ticket available for the first class compartments that is convenient to use. Taxis are a cheap way to get around town, but the cars themselves may not be in great condition. It's easy to hail a cab from the street.